Carleton University has broken ground on this exciting new project that will foster collaboration between the health science and neuroscience programs. 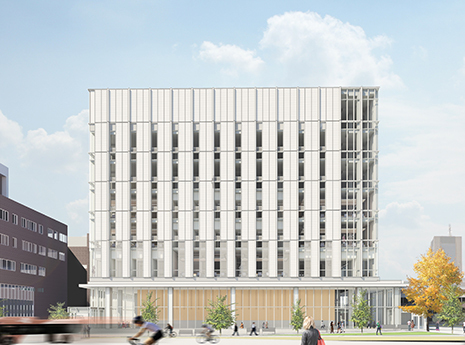 Designed by Montgomery Sisam Architects in association with NXL Architects, the 100,000 sf building will include teaching and research laboratories, state-of-the-art lecture theatres, classrooms, resource centre, assembly space and a wide variety of social and study spaces. Highly sustainable, the building has been designed to achieve a Green Globes rating of 4 Globes. The new facility is expected to be ready for students in 2017. Read the Daily Commercial News article, complete with an interview from the University’s Vice President of Facilities Management, Darryl Boyce, here.